For the last few years, we have been talking more and more about the passage of Scripture in John 10 where Jesus declares that he has come to give us life! And not only to just give us a life, but “to give us life abundantly.” In fact, this entire tenth chapter in John is almost like watching a riveting live drama about who really gives life and who takes life. Who is the imposter that only makes empty promises or threats, what is the cost of “abundant life,” and where is the real source of life? Against that backdrop, over two thousand years later, we’re still confronted today with the same questions and challenges, and the same live drama plays out before us. There are conflicting voices summoning us to one pursuit or another. Just as in John 10, in contrast to Jesus the “giver of life,” there were those ready to “take life.” We live in a culture that often “takes life,” rather than giving it abundantly. Leadership Focus has become a well-received and desired program that unifies and equips those responding to the call to ministry—to GIVE LIFE! We have also been able to launch the Spanish track of Leadership Focus now with almost forty candidates involved. The Hispanic Council (Concilio Hispano) has partnered strongly with this program and is working diligently with the states in new and unparalleled ways to ensure that both English- and Spanish-speaking candidates are experiencing the same quality of training and equipping. These candidates, too, are finding that Leadership Focus is giving life to them in meaningful measure. Multiple requests have come in over the last five years for the same learning and equipping experiences utilized in Leadership Focus. We hear you. The foundation of lesson plans, modules, and courses is already in place; the time has come to expand our efforts to GIVE LIFE to pastors, ministers, lay leaders, and regional pastors across the movement who are seeking additional training, understanding, and theological guidance from a uniquely Church of God perspective. At Church of God Convention 2019 & General Assembly we will share even more about the increasing offerings and opportunities for everyone to be part of experiencing the healing, renewing power of receiving life, and the energizing, empowering experience of becoming a LifeGiver. 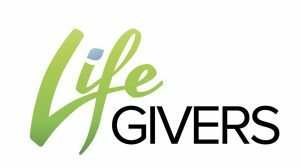 Multiple LifeGivers cells will be offered later this summer and through the fall, and the list of courses is growing. Plan now to explore how you and your congregation can be part of a strong and developing strategy to find renewed life and to fulfill God’s commission to each person and congregation that we, too, be LifeGivers in the world around us. Visit www.jesusisthesubject.org/lifegivers today to get started.